6th Whitchurch Brownies delivered a Harvest basket and a Christmas Hamper to the residents of the Almes Houses in Whitchurch. The unit does this every year, enabling the girls to keep their promise at Christmas, by serving the community and helping other people. In the hamper gift bags were butter, sugar, tea bags, mince pies, a small Christmas pudding, chocolate mints, a small bag of sweats, shortbread biscuits, an apple and a satsuma. 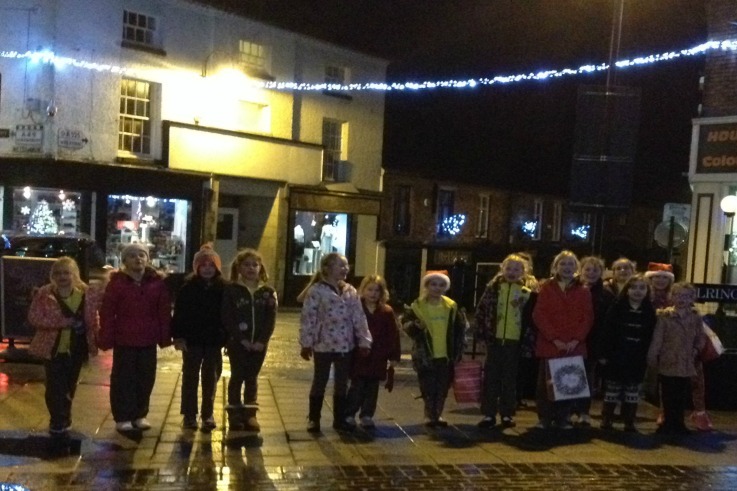 The Brownies sang Jingle Bells and We Wish You a Merry Christmas to the elderly residents and down Whitchurch High Street!